Stylish Chair featuring attractive scroll arms, soft chaise seat and welcoming fibre-filled back cushion. Usually bought as part of a Suite. 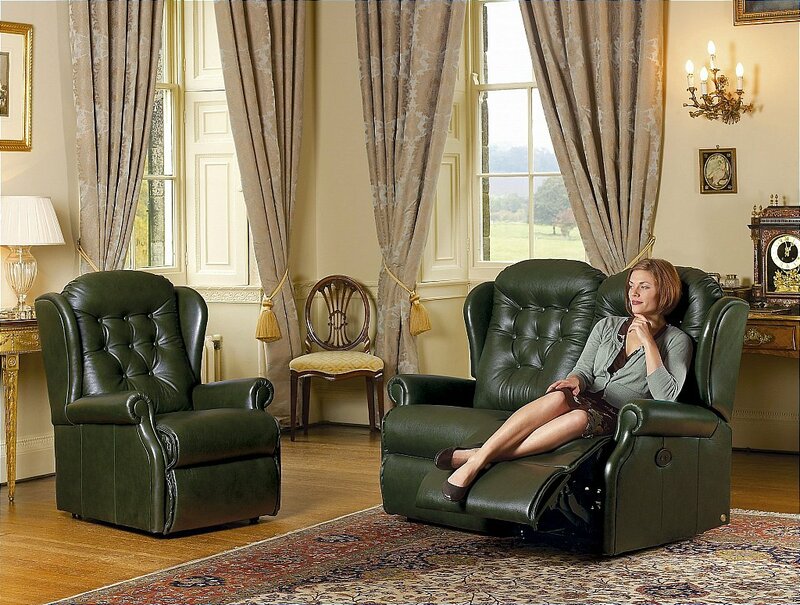 Standard version of the popular Lynton Small Reclining 2-Seater Settee shown above. I would like more information about Lynton Suite by Sherborne.